Talkin' Chow Playin' House: Happy Halloween!!!!! I saw a picture on pinterest of a cake that I had to try! 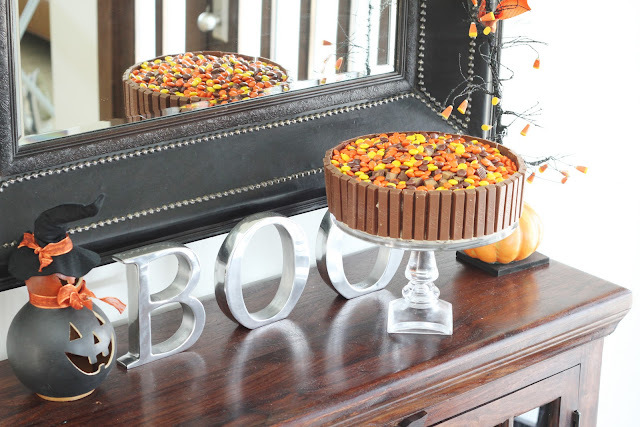 I'll just call it the "Halloween Candy Cake." I used a box dark chocolate cake and added crushed Reese's peanut butter cups to the batter. Then I frosted it with peanut butter buttercream frosting before adding all of the candy to the outside of the cake. The beauty is, you can make whatever cake flavor and frosting flavor you would prefer! Enjoy! And a little somethin' easy on the eyes. :) My good friend Heather over at Homemadebeanieblog.blogspot.com, made this adorable candy corn costume for my lil Q! She's the sweetest candy corn I've ever seen! Happy Halloween Everybody! We hope it's a safe and fantastic one for you! The cake is lovely, but that baby girl is scrumptious! So cute! Thanks Kalani! I think she's scrumptious too! 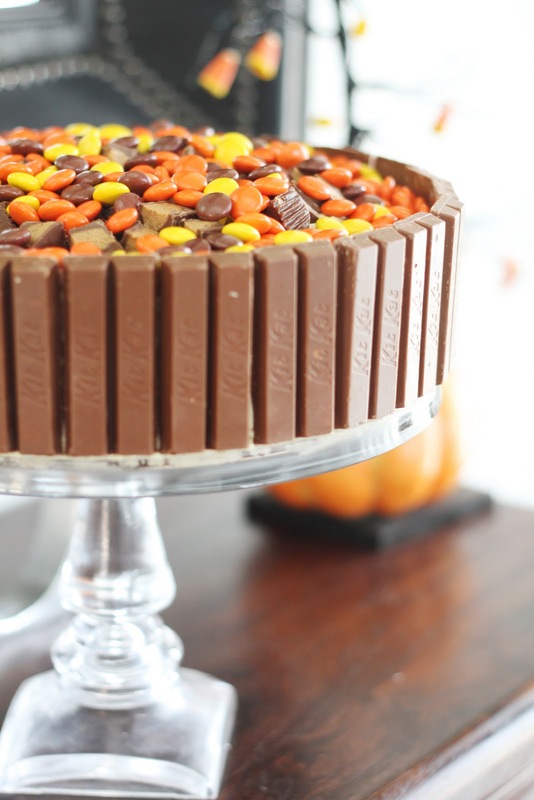 Mmm, that cake always catches my eye on Pinterest. Yours sounds delicious!! And your little candy corn is the most adorable thing on the planet! Q-ball is to die for. I can't get enough.